What is the largest and weirdest telescope on Earth? It is called IceCube, and it does not trace light from distant astrophysical objects like normal telescopes do. Instead it traces elusive sub-atomic particles called neutrinos. IceCube is one giga-ton detector located at the South Pole, and buried deep in the Antarctic ice. It looks down to observe those neutrinos arriving from large distances and travelling through the Earth. With this unique instrument IceCube scientists have discovered highly energetic neutrinos, originating from outside of our Galaxy, and thereby opening ‚a new window on the Universe’. Such neutrinos are expected to be produced in the most violent astrophysical processes: events like exploding stars (supernovas), gamma ray bursts, and other phenomena that accelerate particles to ultra-high energies. So far, however, the astrophysical sources of such neutrinos remain unknown. 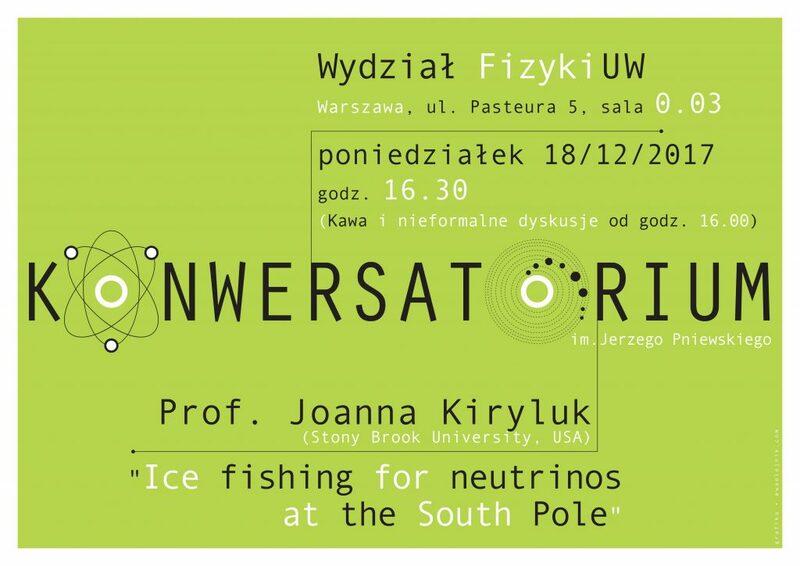 I will discuss the IceCube experiment, the methods to detect neutrinos, the recent discovery of a flux of cosmic neutrinos and plans for the future neutrino astronomy. The talk will include a slide show of pictures from the South Pole, including beautiful Antarctic landscapes, and harsh working and living conditions during the IceCube’s construction.